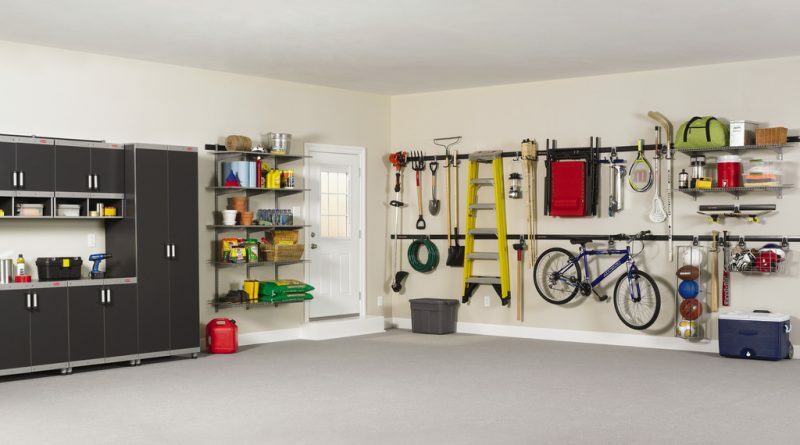 When you have a small one-car garage, it may seem like you never have enough room for everything. But that doesn’t have to be the case. Organizing a one-car garage to fit everything you need is possible — and it’s easier than you think. Make the most of a small space with these simple tips. Will you be parking your car in the garage? If not, this will give you even more space. If so, try to keep the storage areas to the sides and to the top of the garage. That way, you won’t need to move items out of the way in order to park. If you’re using a one-car garage for building or fixing things, make sure your tools are within easy access, but also out of the way of anything else you may be doing. Keeping the shelving up high helps ensure nothing large will be in the way of parking your vehicle. Free-standing shelves may be too bulky, especially in smaller spaces. Use “floating” shelves to store items that need to be shelved. Use bins and baskets on these shelves to hold smaller items. You may also wish to create shelving within the ceiling rafters for storage of larger items that aren’t used every day. All of the empty space on your walls can actually be put to good use. Peg boards or slatted wall panels can make it easy to insert hooks and hangers. 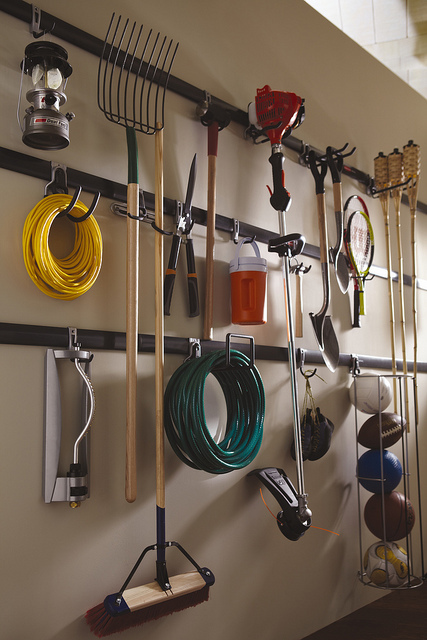 There are special ceiling hangers and hooks for the garage rafters that you can use to hang items, such as bicycles. By hanging things like garden tools, mowers, and bikes on the wall or ceiling, you keep them off the floor and out of the way. This creates more space to use for parking, creating projects, or other common garage uses. You can also a small garden near to your garage. Organic landscaping companies can do this and it gives a better look for the house.